The following post has been sponsored by Nancy’s. All opinions expressed are mine. Homemade bagels are well worth the time and effort. Today we’re exploring how surprisingly easy it is to make your own and sharing our favorite bagel pairings as well. There’s a pleasant cliché regarding the autumn season in New York when the memorial trees lining the streets fade from green to the familiar autumn shades already described in various poetic terms that I shall not here attempt to match. It’s a nostalgic scene, likely best encapsulated in films of bygone eras that portray the city blocks dusted in fallen leaves trodden by pedestrian crowds wrapped in their long coats and scarves through a city blanketed in the fog-laden air. Each year, we like to imagine that this scene plays out as masterfully as if Stevenson himself had composed the plot. One of my first autumn in New York memories revolves a bit around something most native New Yorkers can relate to on some level, and the sort of ‘culture shock’ that depresses tourists and turns ‘new comers’ into ‘quick leavers.’ To set the scene, a much younger, though equally fabulous, version of myself was attending school in ‘The City’ right around the time when the leaves begin to dust the streets, and a group of my friends decided that we would go out to lunch together in some then-posh restaurant before retreating back to the outer boroughs or, in my case, ‘The Island.’ A late afternoon out with friends, what could possibly go wrong? To put it plainly, my first glance at the menu was my first case of ‘Autumn in the Big City Price Shock.’ Naturally, no one wanted to be the first to admit such sticker shock – and no one was. Suffice to say, we were students at an establishment clearly not intended for those on a ‘student budget,’ and the end result found us lunching on an assortment of soup, starters, and water, with very few of us indulging in all three. While that memory is one that I laugh about today, I must admit that I’ve largely forgotten what any of us in particular ate, but to this day I still fondly think of the classic, tire-sized New York bagels that formed my typical ‘city fare’ back then – and which have long outlasted that bygone restaurant. The simple answer is, homemade is better and healthier, and bragging rights are nice. Why else? To start things off, we begin by combining water, yeast, and a bit of brown sugar in a large bowl, and we let that mixture sit until it has begun to foam. Once the yeast has been proofed, add in salt and more brown sugar, along with the barley malt or molasses and flour. Mix that until we have a firm but sticky dough. After that, knead the dough out on a floured surface until it is smooth. Now, coat the inside of an oiled bowl and set the dough inside, letting it sit covered in a warm, dark place for at least four hours. You want the dough to more than double in size during this ‘resting’ process. Once the dough has rested – yes this is a lazy dough- divide it into twelve equal parts, and then work those parts into smooth balls. The best method is to stick your thumb through the center of each ball, and gently work the resulting hole until it’s about two inches in diameter. Once that is done, let the bagels sit and rise for a further 15-20 minutes. While the bagels are resting, heat your oven to 425 degrees F., and bring a large pot of water to a boil with baking soda and a molasses. Once the water is boiling, boil the bagels in batches of three for about 1-2 minutes on each side. Once the bagels have been boiled, transfer them to a parchment lined baking sheet. Let them cool slightly before brushing them with the egg wash. Dust them with salt and sesame seeds and bake them for about 10 minutes. Rotate the baking sheets and bake for another 10 minutes, or until they are golden brown. Once the bagels are golden, they’re ready to eat. Naturally, these are delicious on their own, but since we’ve got natural, homemade bagels, I figured I’d pair them with an equally natural cream cheese – Nancy’s Organic Cream Cheese, the same company that first introduced live probiotics into yogurt in 1970, and who now produces more than one-hundred cultured dairy and soy products. 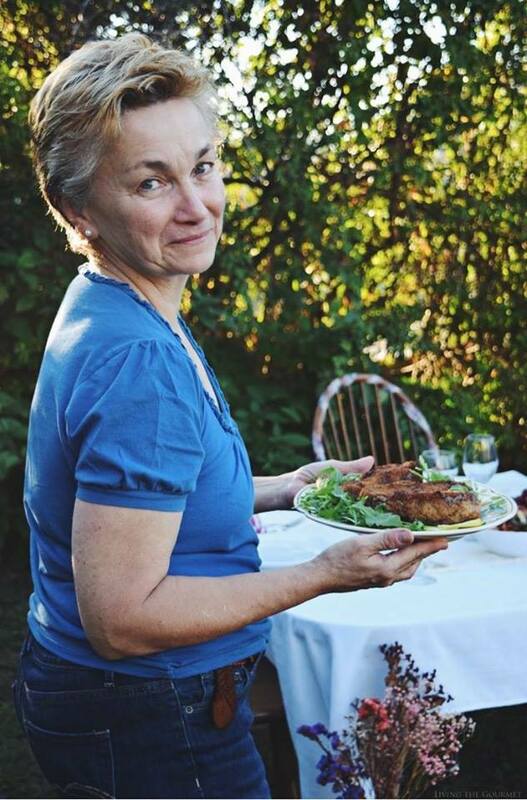 Working with sixty employees, and despite three-generations in the business, the Kesey family is assuredly – not – ‘big dairy’ or ‘big yogurt,’ giving them the independence to instead focus on organic quality and innovation. In a large bowl, combine the water, yeast, and a teaspoon of the brown sugar and let sit until foamy, about 5 minutes. 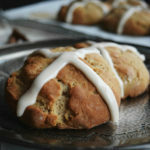 Add the rest of the brown sugar, salt, 1 tablespoon barley malt or molasses, and flour and mix to form a sticky dough. Turn the dough onto a well-floured surface and knead until smooth. Transfer the dough to an oiled bowl, cover and let rise for about 4 hours until the dough has more than doubled in size. Turn the risen dough onto a well-flour surface. Divide it into 12 equal parts and shape them into smooth balls. Stick your thumb through the center of each ball, twirling the dough on the floured surfaces until the hole stretches out about 2-inches. Lay the bagels onto a parchment lined baking sheet let rise for 15-20 minutes. In the meantime, preheat the oven to 425º and bring a large pot of water to a boil. Add the baking soda and remaining tablespoon of molasses. Add no more than 3 bagels at a time to the pot and boil them for 1-2 minutes on each side. Use a slotted spoon to transfer the bagels from the pot. Be sure to let it drain before placing them back onto the parchment lined baking sheets. For the topping, combine the sesame seeds and salt. Brush the bagels with the beaten egg and sprinkle with the topping. Bake the bagels for 10 minutes, rotate the pans, and bake for 10 more minutes, or until golden. Transfer the bagels to a wire rack and let cool. 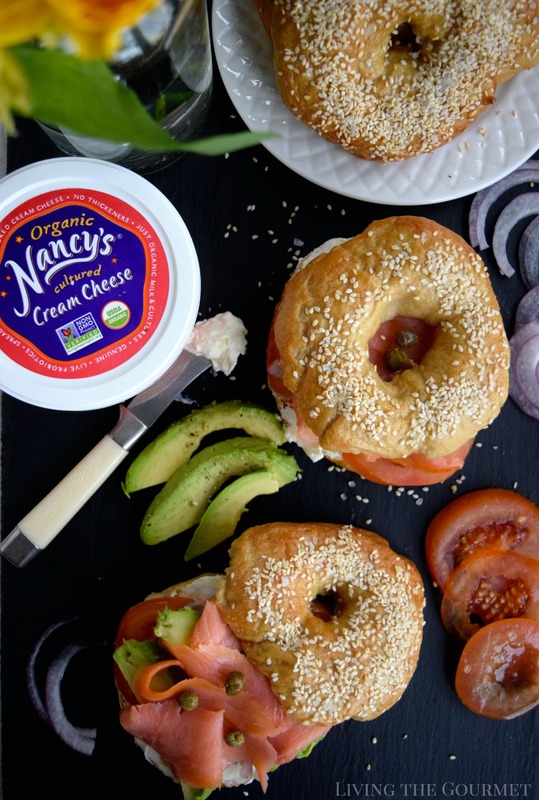 Serve on their own or with smoked salmon, avocados, tomatoes, onions and capers and don’t forget a generous spread of Nancy’s Organic Cream Cheese! 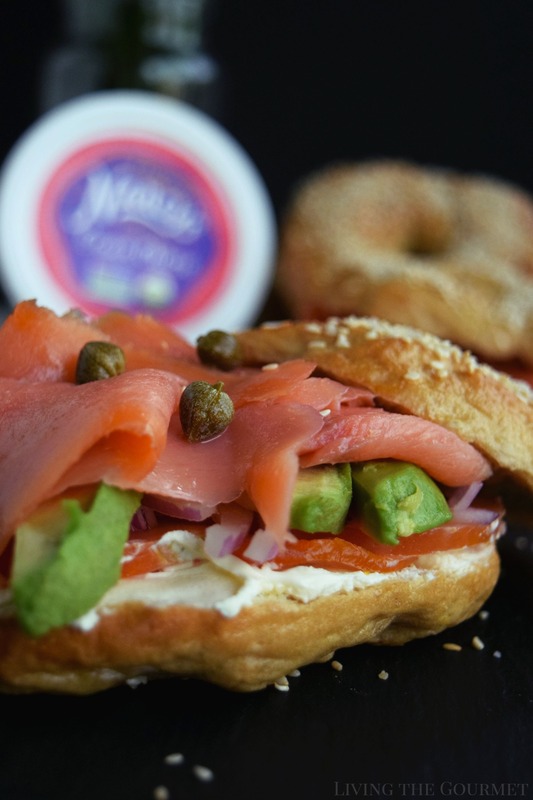 That said, pairing Nancy’s Organic Cream Cheese with a layer of smoked salmon, some onions, avocados, and capers, and you’ve got a perfect lunch that’s sure to impress. mmmm smoked salmon and caper..delicious! The bagels look wonderful, Catherine. I didn't realize how easy it was to make homemade bagels! 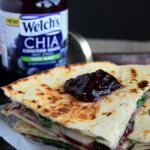 This is a game changer for breakfast and lunch! 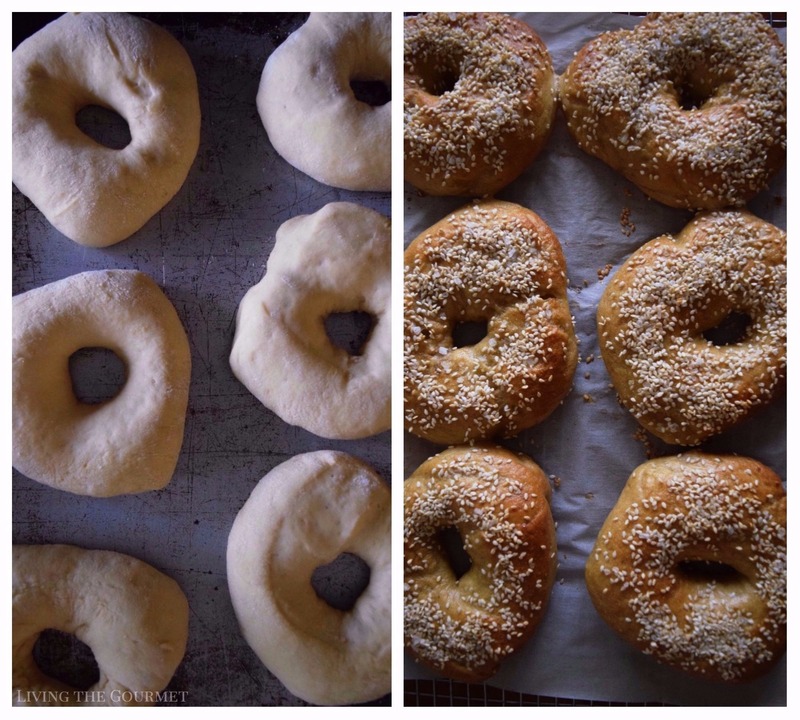 These homemade bagels look so perfect! Need to try these soon! I never tried to make homemade bagels. This is something I am going to make this weekend. Thanks for the idea. Love Nancy's products by the way. Their yogurt is delicious. I have NEVER attempted to make homemade bagels. I LOVE making bread. This is a great little weekend experiment for this winter. I buy bagels all the time, might as well make my own. They look fantastic!! You can never resist the aroma of fresh bread baking!! wow I love a good bagel but having a homemade bagel is mind-blowing it must be delightful! I wish I was a good baker because this recipe looks so good. Ive always wnates to make homemade bagels. Your instructions are perfect for someone who has never made them before! Homemade goodies are the best! I have never tasted these but they look delicious! Enjoyed reading your post. I have never had a bagel in my life but I swore that I would this year when I saw a French baker making those here in the neighborhood a while back. I didn't think of making them myself, I have to confess. You show it so well in your post that you got me inspired! I love bagels but frankly have been too intimidated to try making them at home. I just grab some from my local bakery. One of these days I'll attempt to make some on my own. You recipe makes it seem so easy. I love baking and when I first made up bagels, I was so intimidated and scared. After baking them a few times, I got so comfortable and absolutely love the beautiful texture and flavor that we get from home baked bagels without all the artificial stuff. 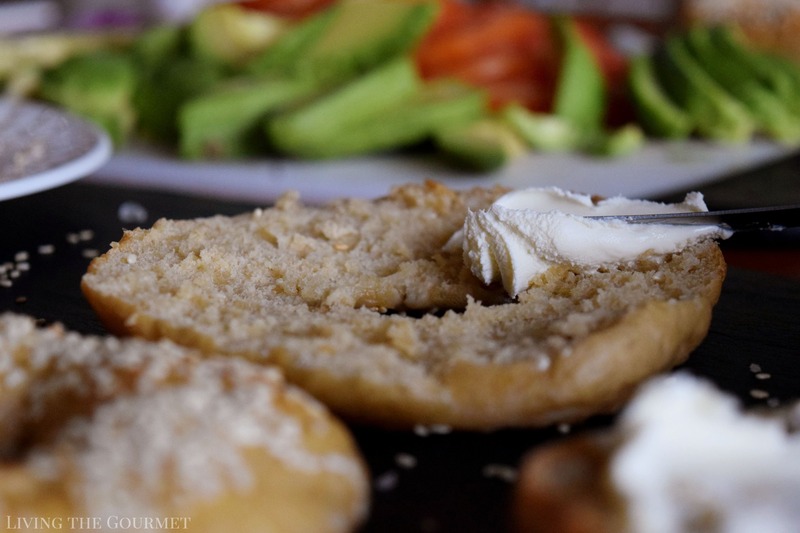 I have never attempted to make a homemade bagel, but I think you may have convinced me to try! These look amazing!! I have never made bagels, but have always wanted to give it a try. You made it sound so simple. What a great way to load up those bagels! 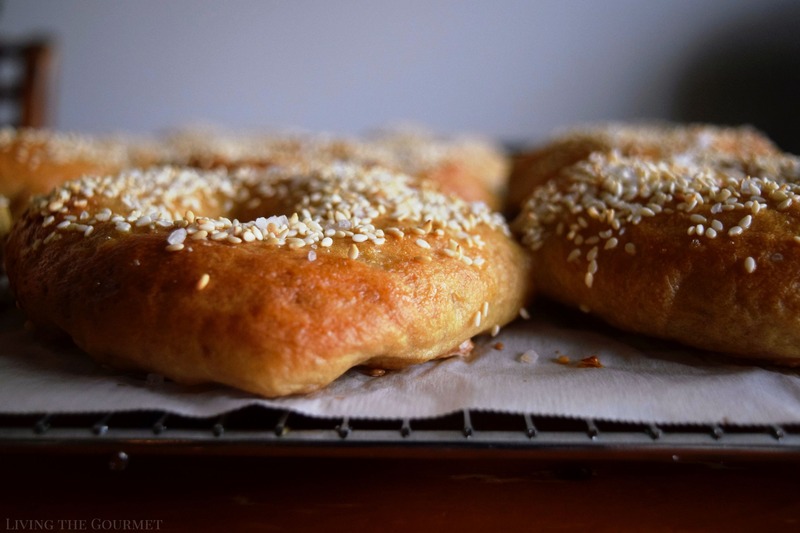 These homemade bagels look amazing. I love the touch of sesame to it. 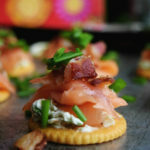 With cream cheese and smoked salmon, everything comes together in a delicious way. 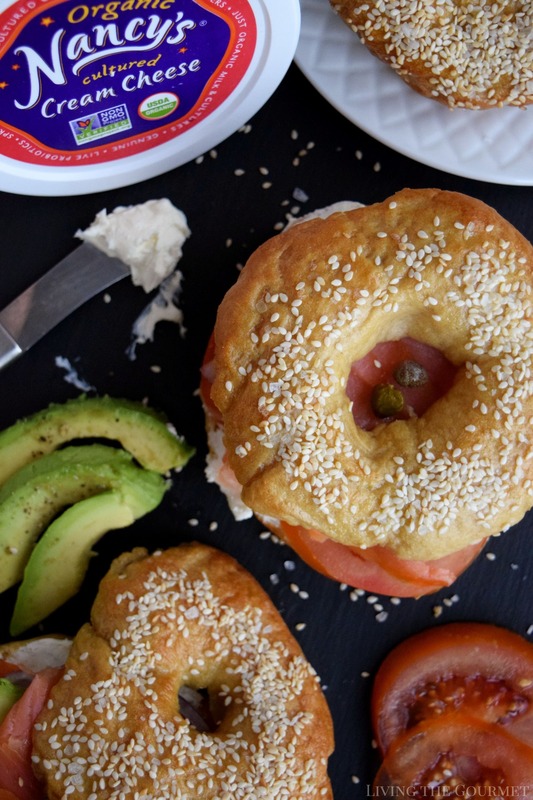 I've always associated Bagels with New York,, they are very popular here now but your homemade bagels look much better then anything in the shops! I love Salmon and cream cheese!! These look terrific! Definitely need to give them a try! I am with you, homemade is ALWAYS better. These look heavenly and I cannot wait to try these. We've been making homemade bagels for years because we were unsatisfied with the quality of bagels out there. Now, if you go to New York you will have the choice of those chewy delicious bagels but they're not cheap. So much better making your own. You did a great job. 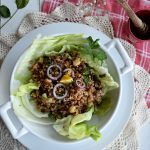 I love a quick snack and this sounds like it'd be perfect for a busy weekday. 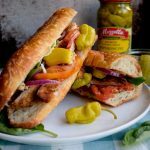 There are so many options when it comes to dressing a bagel and this recipe really sounds great! Homemade seas salt bagels looks delicious. I love the crunchy sesame seed on the top. That cream cheese will be really good with bagels. I need this for my breakfast. 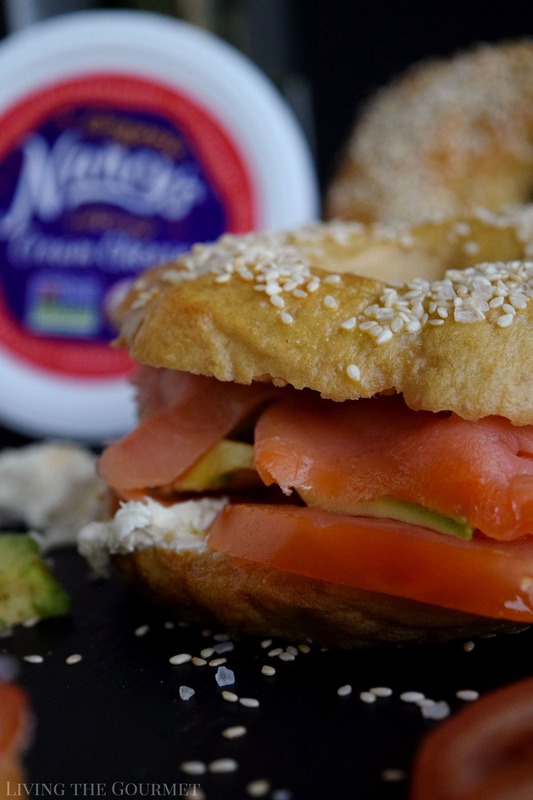 We love Nancy's Cream Cheese and add to a homemade bagel...WOW! These look incredible!! Can't wait to make them.